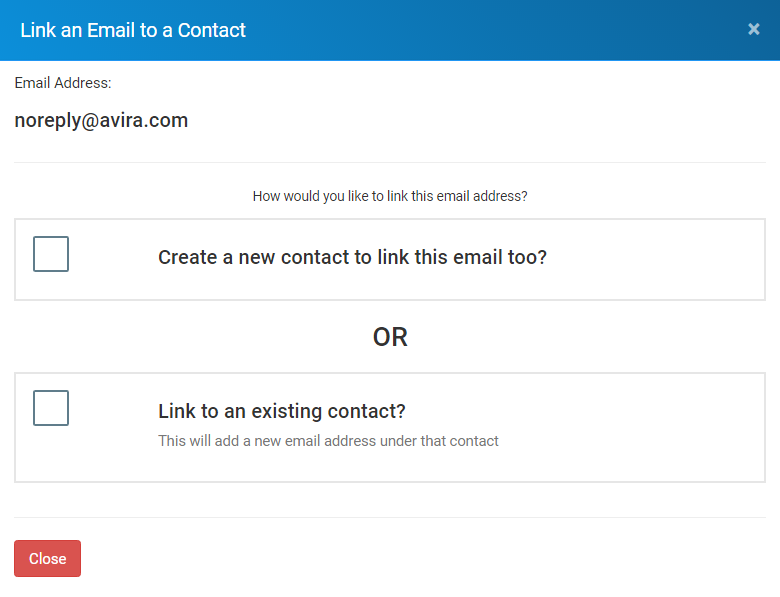 There a couple of ways you can deal unlinked emails that we’ll cover in this section. Unlinked emails will be listed as shown above. After opening the email that you wish to process you will have the following options available to you. 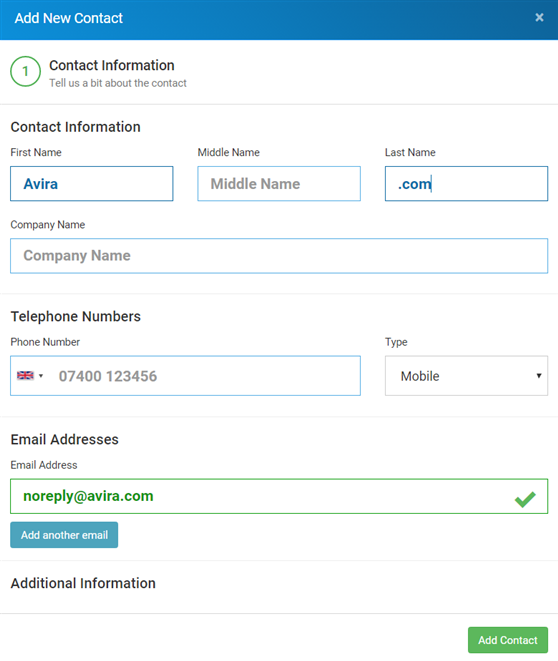 By selecting ‘create a new contact’ you will be taken to the standard new contact details screen with the relevant email address already in place. You must add a first name and last name as minimum data before being able to save the new contact into Sentle. If you choose to ‘Add Sender to Blacklist’ then Sentle will stop receiving emails from that email address. The emails will still show up in your external account (gmail/outlook etc) but Sentle will not add them to your Sentle email inbox. You can manage your Blacklisted email addresses in the ‘installed applications’ area of Sentle. As displayed below, all blacklisted email addresses will be shown in the red box. You can choose to remove an email address from the blacklist by deleting it from this area by selecting the cross. 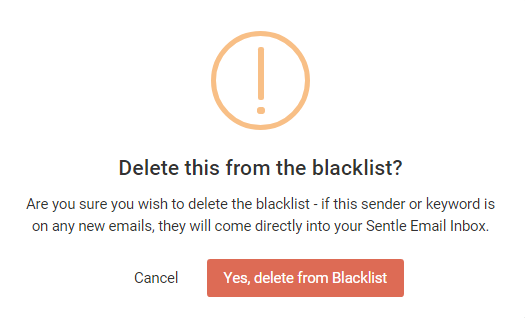 You will be presented with a confirmation alert informing you that if you delete this email address from the blacklist then all emails will once again be delivered to your inbox.